Clafouti is a fancy word. Technically it’s only supposed to be used to to refer to deserts made with cherries, otherwise the dish is called a flaugnarde (which is even worse). I call it lazy-man’s apple pie. 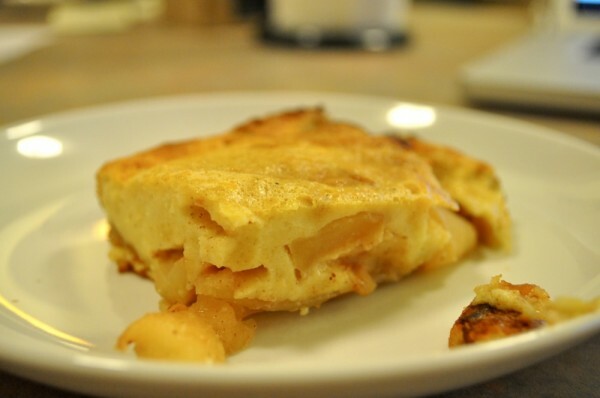 What it actually reminds me of the most is Dutch pannekoeken or “Dutch pancakes”. Lindsay is still out of town for work, and I overbought on apples, which started to get a bit old and sad. I was also jonesing for something sweet. 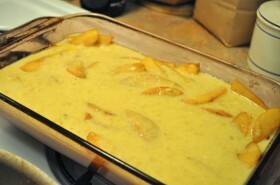 I turned up Martha Rose Shulman’s NYTimes “Recipes for Health” column with the basic recipe. 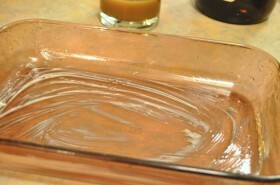 1/2 tsp Vanilla extract Use pure extract, or 1/2 of a fresh vanilla bean! 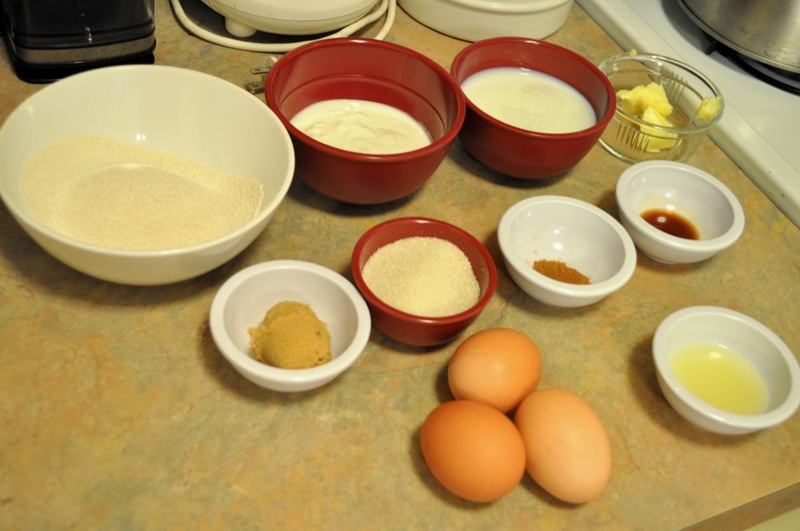 I find it easier to measure out all of the other ingredients first and then to deal with the apples and then the eggs, but it requires a lot of little measuring dishes. If you want to, you can measure out everything as needed, but who needs to stress? Just make sure your dishwasher is empty!. Peel the apples. Cut them into quarters, and cut the core out of each quarter with a knife. 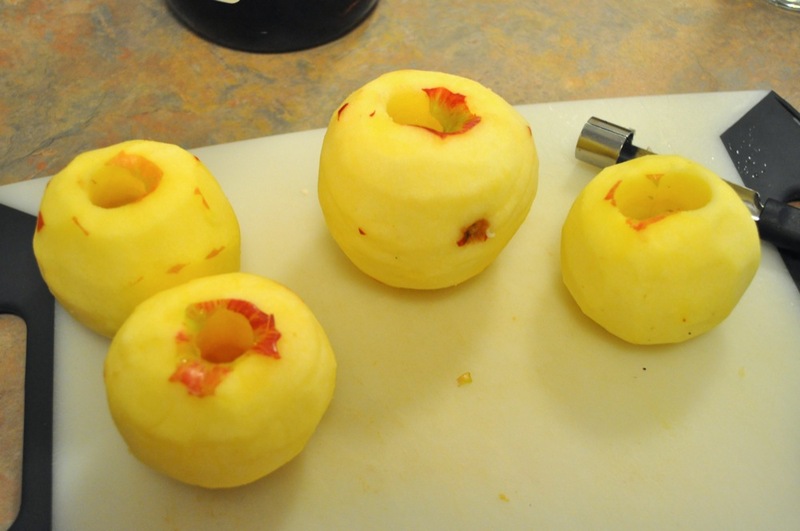 I used an apple corer in these pictures and I probably wouldn’t bother with it next time. We just got it, though, so I wanted to try it out. Cut each of the quarters into quarters. 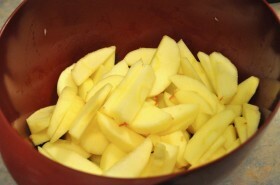 Put them into a large bowl and toss immediately with the lemon juice to prevent them from turning brown. 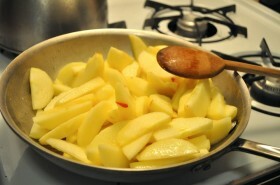 Melt the 1-2 TBsp of butter (your decision) in skillet over medium-high heat. I used a stainless steel skillet; if you use a well-seasoned cast iron skillet it will probably cook faster and require the lesser amount of butter. Just make sure it is well cleaned so that no undesirable flavors (like garlic) get introduced. Add the apples and stir them for 4-6 minutes, until they begin to soften and appear translucent. 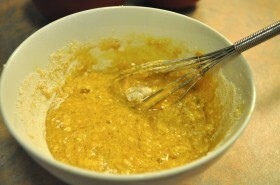 Add the brown sugar and cinnamon and mix it in thoroughly. Cook, continuing to stir frequently, for another 6-8 minutes. 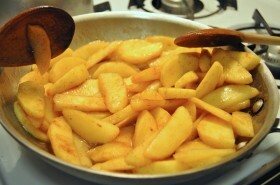 When the apples are slightly browned and caramelized, they are done. While the apples are cooking, whisk together the eggs and vanilla. Add the sugar and salt and stir thoroughly. Add the flour, about 1/3 of it at a time, and mix it in well. At this point it will appear like a paste. Add the yogurt and milk and stir until everything is thoroughly combined. Make sure you start with a large enough bowl. I had to go up one size before I added the liquids. Use some additional butter to grease the sides of a glass baking dish, and when the apples are done, spread them evenly in the dish. 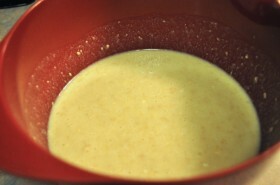 Pur the egg mixture over the top. Let it sink into all of the nooks and crannies. If necessary, level out the apple slices so that all are submerged. 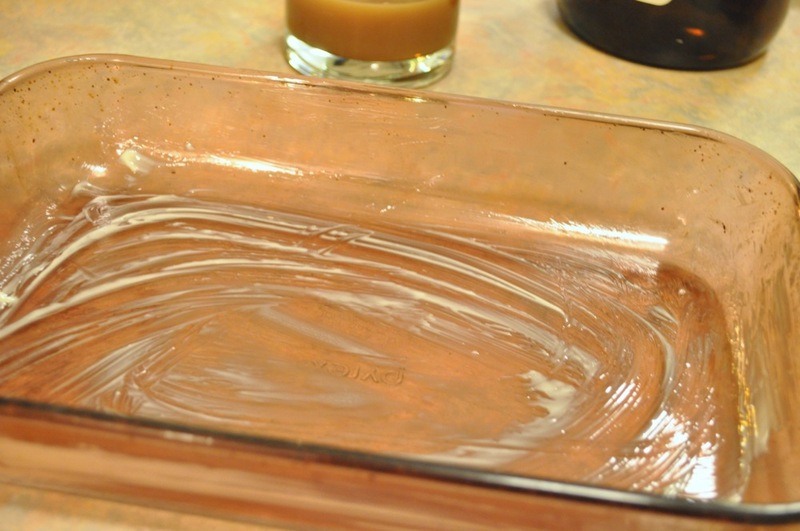 Bake in the oven for 35 – 45 minutes, until the top is nicely browned by not burned. I would set a timer for 35 minutes and then 2-4 minute intervals after than just to be on the safe side. When it is done, but the pan on a wire cooling rack. 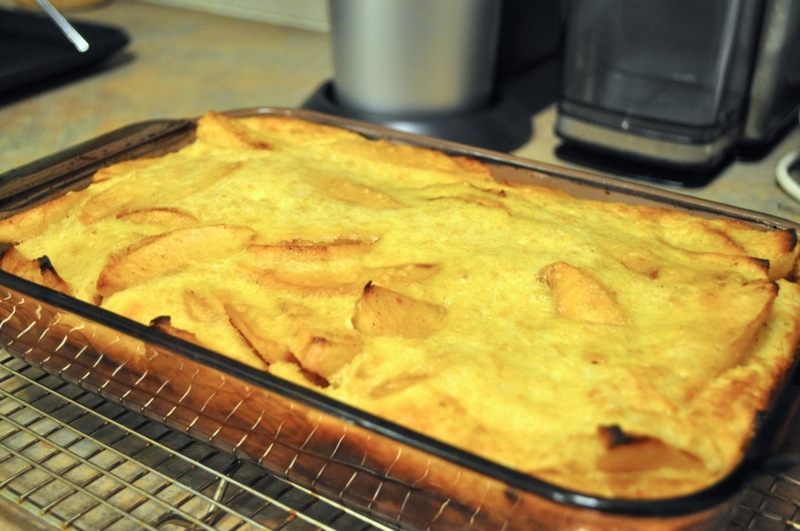 This desert is great warm, lukewarm, or cold, no matter how you want to do it!